So, WHY WE NEED MASSAGE? Soothes Anxiety & Depression. Just so you know that massage therapy has been touted for releasing the tension, stress and anxiety that is often accompanied with mild depression. It's believed that receiving physical touch can change our bio-chemisty and lower our cortisol levels, our bodies stress hormone. Massage therapy can be a beautiful, natural way to regulate these hormones levels thus creating a more relaxed, improved state in our overall mental and physical wellbeing. It Boosts Immunity. We all know that when we're stressed and anxious all the time, it's harder for our bodies to fight off and defend against the pathogen that we're exposed to every single day. Even a light, gentle touch can allow the lymphatic system to drain and release waste like bacteria and viruses from the body more efficiently, increasing our chances to fight off the germs we come in contact with as a part of our everyday lives. Improves Sleep. Do you know that when we get a massage, it's not only reduces tension in the muscles, but also can change our hormone levels in such a way that allows for more profound relaxation to rise. Massage therapy has been linked to increased delta waves in the brain, which are connected to deeper, more restful sleep. Relieves Headaches. Well, massage decreases frequency and severity of tension headaches. You can try book for your massage appointment and experience it yourself. Why Amante? Yours truly had been there once and it has been one whole amazing pampering experience. 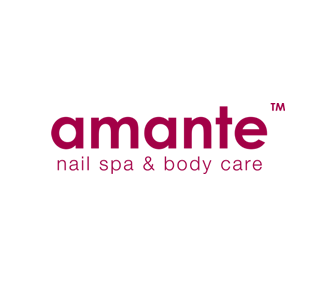 How can you not know Amante Nail Spa & Body Care for their friendly and help staffs, amazing service and most importantly - experienced masseuses! Read my aweseome session HERE! Photobooth Malaysia being one of the sponsors for the massage party surely gonna allow us girls to take better and prettier pictures for us! Well, don't forget to LIKE them on Facebook in case you would need their professional service any time soon! Every party need a party planner and guess who'll the amazing party planner for the massage party? Ask Joey - The Sweetest Party, now all of us will be left unanswered for how's the party going to be, but be surprised! One thing we know, it going to be one of the hella sweet party for sure!